Are you ready to upgrade the look of one of the main faces of your home – your garage door – or is it just time to replace your current garage door? Our number one priority is Quality. 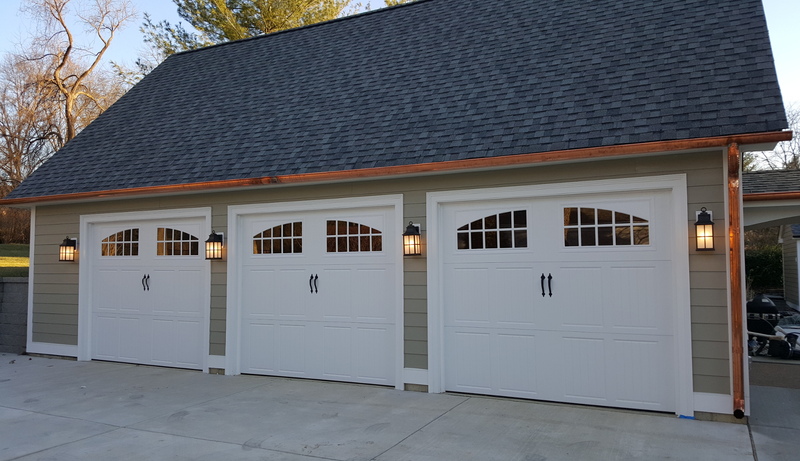 The garage doors we sell and install are top of the line to ensure you are completely satisfied. Our second priority is Value. We offer several options that provide an economical solution, while still maintaining high quality standards. Remember, a high quality garage door that may be a bit more expensive will last much longer, which makes it the more economical choice in the long term. MALFUNCTIONING OR BROKEN – Is your garage door malfunctioning? Does it work sometimes and not others? Or is it just completely broken? This can be annoying and inconvenient at the very least, and a safety hazard as well! The knowledgeable and trained technicians at Covenant will analyze the problem to determine whether your door can be repaired. If it can, we will provide you with details like cost and estimate how long the repair will extend the life of the door. If the door is beyond repair, we will provide you with options for installing a new door. You may decide to replace the door even if it can be repaired, weighing the likelihood of further repairs. We provide all the information to the homeowner to make an informed decision.